This might not be the first place you would think of for a party but you might be surprised. With heaps of cooking and some other crafting options and in a unique venue easily accessed from both Leeds and Bradford, it could be the perfect place. Our parties are a hit with all ages and good for all kinds of celebrations – from birthdays, baby showers, hen or stag dos, to retirement, anniversary and Christmas. Let the party begin! With space for up to 40 people we can accommodate groups big or small and we will work hard to meet your requirements. 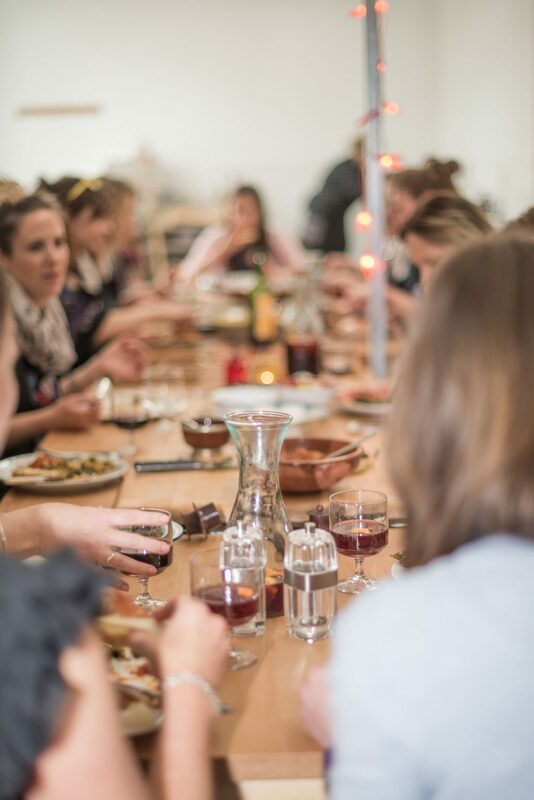 You might fancy a bit of competitive team cooking with a set of ingredients to work with – a bake off challenge, or perhaps an authentic world food experience appeals more, cooking up some of your favourite dishes with your friends. Or maybe go for breadmaking, craft ale brewing, wild food cooking or wine tasting or even something different like cosmetic or lampshade making. Whatever you choose you’ll usually finish off your event feasting with a little celebratory drink and you can even throw in a little live music if you want.